To reserve a field production equipment package (camera, tripod, mic, batteries, and optional lights/mixer etc. ), call our Office Manager at 650-494-8686 x10 during normal working hours. You can leave a message anytime. If you leave a message, don’t expect the equipment is available until you receive a confirmation call back. The Office Manager will come up with a time during working hours that works for you to take out and to return it. Check outs are for a 24 hour period or over the weekend. Members of Zoom In may request an extended reservation period in advance and if equipment is available, Midpen staff will try to accommodate the request, but there are no guarantees. 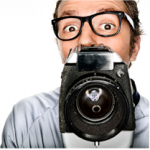 TIP NUMBER 1 – TAKE ZOOM IN and then JOIN the ZOOM IN VIDEO PRODUCTION COLLABORATIVE! The workshop costs $200.00 for 15 hours plus a field shoot and includes the equipment and an amazing text-booklet. Or you can bring your own equipment to use. If you join Zoom In right after the workshop, you can check out equipment from our Equipment Room (as available on a first come first serve basis) for a flat fee of $100 for the first six months. After that it is only $125 for each additional six months. And if you need to stop out for a while, you can always come back. If you do not join the ZOOM IN Video Production Collaborative you can still “rent” Media Center equipment at well below market rates. The “catch” for using our equipment whether through ZOOM IN or not, is that anything you produce must run on our channels and streaming from our website. Your videos are one of the many ways we populate our channels with community-produced content. If you are a member of ZOOM IN, Zoom In staff and mentors are available to help you with your project and ZOOM IN members are available help you with your production. TIP NUMBER 2 – Re-familiarize yourself with the camera you are using BEFORE the day of the shoot. The Media Center’s current Field Production camera of choice is the Panasonic HMC-40. Four “HMCs” are available to be checked out from our Equipment Room. Click to email the equipment monitor. You can view or download the camera manual online here. A print out of the manual is also available from our Equipment Monitor. In order to use our equipment you must either have taken ZOOM IN or taken a private tutorial with one of our staff members. It’s our job to make sure you have a working knowledge of the camera and understand safety considerations before you can use our equipment. 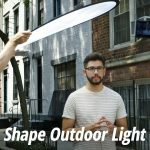 Using a light kit? 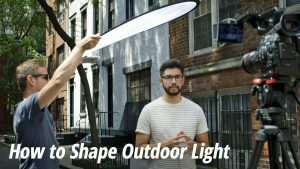 Make sure you recall how to set up and operate the lights before you go on your shoot. Same with audio equipment. The Equipment Monitor is there to help you, so ask the EM. TIP NUMBER 3 – If you are a beginner, use AUTOMATIC settings for your shoot. Manual settings deliver the professional look we all want, but when you are starting out, master the camera on automatic and then dive into manual settings. * The Look of the Location – Why is this place ideal for the shoot? How does this location enhance the story or documentary? If the location doesn’t add to the story, consider finding a location that does. * Space for the Shoot – Is there enough room for the camera, crew and subject? * Background of subject – When shooting any scene, particularly interviews, what is seen behind the subject? Is there a window that is blowing out your shot with daylight? Is there distracting and unrelated action going on behind the subject? * Electric Power – If you need AC power, where will you plug in? Remember to gaff all power cords (using gaffers tape available from our equipment monitor) to protect crew and equipment from accidents. * Sound Clarity – Is there background noise that is so loud that it is distracting? Is there a constant hum of say a refrigerator or HVAC system? How about traffic and/or planes? Minimize all unnecessary sound. And here’s a trick! If you end up unplugging the fridge because the noise is driving your audio tech nuts, try stowing your car keys in the fridge. That way, you’ll remember to plug the fridge back in when you finally remember where you put those keys! And one more trick, CLAP your hands and if you have an echo, you are shooting in the wrong place. Some places that don’t look cavernous, sound cavernous on camera. * Site Manager & Location Release Form – Who’s in charge at the location? Who’s permission do you need to shoot? Get a Location Release form from that person. TIP NUMBER 4 – Plan your Shoot! Make a list of shots you can’t live without. Get those first! If you are doing an interview (A-roll) then shoot plenty of B-Roll. B-roll is useful in editing for use as cutaways to keep the A-Roll “talking heads” interview visually interesting. You can edit in B-roll that demonstrates what the interviewer is talking about. So after you shoot the A-roll, review it and add any new B-roll shots inspired by the interview to your shot list, particularly footage that supports or illustrates the interviewer’s claims or story. Shoot way more B-roll than you think you need. A rule of thumb many experts use is to shoot a clip for every six seconds of film, with each clip about a minute long. Or for every minute of video, shoot 10 minutes of B-roll, taking care to shoot long takes. You want to give your editor (or yourself if you are the editor) lots of footage to work with. You’re bound to get a better piece if you have plenty of B-roll. TIP NUMBER 6 – Safety in Numbers – Isn’t it great to have an extra set of hands …and another brain to refer to when something is not working? Because video is a collaborative art form, consider inviting your Media Center friends to go out with you. As the producer you have final say, but having trusted advisors with you can help solve problems. For instance, someone needs to stay with the equipment that’s all set up while you run for extra batteries or make copies or deal with any of a number of surprises that come up. TIP NUMBER 7 – Care and Feeding of Crew. If you are the producer and you have crew working for you, provide “craft services” (food and snacks) and plenty or water for them. It’s a professional courtesy and always expected. Additionally, reimburse any out of pocket expenses crew incur like tolls or excessive mileage. Chip in for their gas if they are driving a long way to help you. Be considerate. Do not expect them to work a twelve hour day, but if they agree to do so because they like you and your project, treat them well and shower them with “craft services” that delight them. And always credit anyone who crews for you. Take the time to make sure everyone’s name is spelled correctly! TIP NUMBER 8 – Time to edit? Watch all your clips and whatever editing software you use, rename all the clips with meaningful, descriptive names and arrange clips that belong together in the same folder. This way, when you begin to edit you don’t have to search through clips for that one sound-byte you need. Enjoy getting organized before you edit! TIP NUMBER 9 – If you will be devastated if your project isn’t perfect, consider “hiring” one the Media Center’s secret weapons to go out on your shoot as a technical advisor, or to come in and help you smooth over the rough patches in your edit. TIP NUMBER 10 – Relax and enjoy the process. Be proud of your accomplishments and deliver the finished project to the Media Center Programming Manager ASAP!